Like so many people I used to think Italian food was all about spaghetti, pizza, ravioli, and lasagne. A couple of trips to Italy has however set me straight, there’s so much more that’s a celebration of seafood, meat, and produce, and Cielo took me straight back to a Tuscan mountain restaurant. The view may not have been quite as good as an idyll in Orvieto but it’s not bad – looking out over Oozells Square which is now a culinary hotspot hosting not only Cielo but also Piccolino, Thai Edge, and Café Opus. The interior is smart, glinting glassware and marble floors giving a high-end feel. The waiters are friendly and efficient, taking jackets and giving menu advice with aplomb. We sipped aperitif cocktails, a classic Negroni and a modern Bomb Fire kiwi martini, while we checked out the extensive menu. For starters I had the chicken livers with smoked pancetta (£8). I ate a piece of the pancetta first and thought it was far too smokey but actually it set off the creamy sweetness of the livers really well. It was served with toasted crostini which texturally complimented it. We also had the calamari (£9) which was served as a massive portion of crisply battered soft calamari rings with a lemon wedge and aioli. Both starters were tasty and very large, but the winner for me was the livers which seem to be on trend this season (I’ve had them twice in a week, here and at JuJu’s). We had a bottle of Montepulciano with our food, which is always the go to red for us when eating Italian food, recalling memories of walking through summer storm drenched Montepulciano streets eating apricot ice cream. Wine starts from about £20 a bottle. For mains I had the Risotto Ai Frutti Di Mare – sea food risotto (£16). The tomatoey al dente risotto dish included half a dozen large mussels, a couple of plump scallops, lots of squid, and some large king prawns. Having eaten the whole dish I felt overly full, but it was too tasty to leave any! Our other main was Costolette D’Agnello – Cornish lamb cutlets and cannon of lamb with glazed carrots, sauteed potato, and a wine jus (£22). 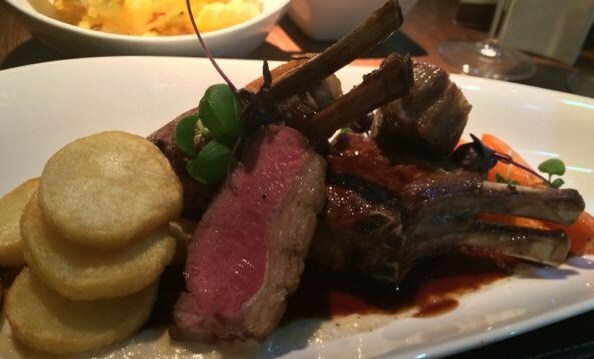 The lamb, served rosey pink, was full of flavour. Carrots were super – I love a glazed carrot, vegetables in sugar, what’s not to like?! Despite being more than replete we felt it our public duty to try the tiramisu (£6). The sweetened cream was not too sweat, the liqueur and espresso was well balanced and didn’t make the sponge sloppy. 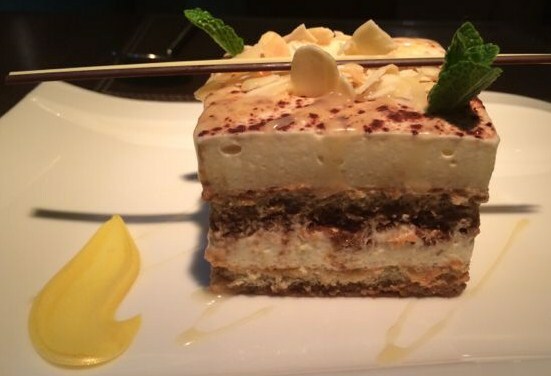 Possibly the best tiramisu we’ve had in Birmingham. We finished our meal with a Limoncello. 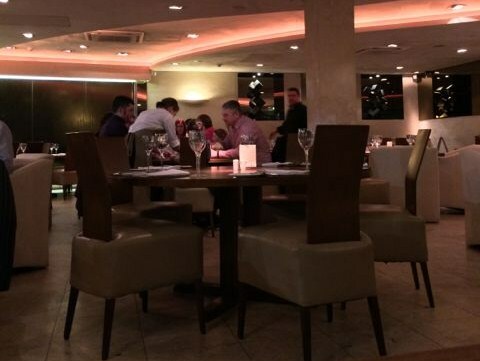 The restaurant was full of smartly dressed diners, including under tens with parents, couples on dates, and groups of friends. Regardless of age everyone seemed to be having a nice time and were treated well by the excellent and efficient waiting staff. 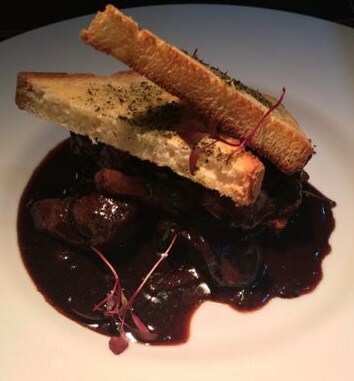 If you think it’s a bit above your normal price range, every day there is a pre 7pm fixed price menu available at £18 for three courses. Bargain! We had such a nice time that when we left we booked to take our parents next Saturday – surely the highest praise possible. Go and try the delicious chicken livers and be sure to have a Negroni for me. 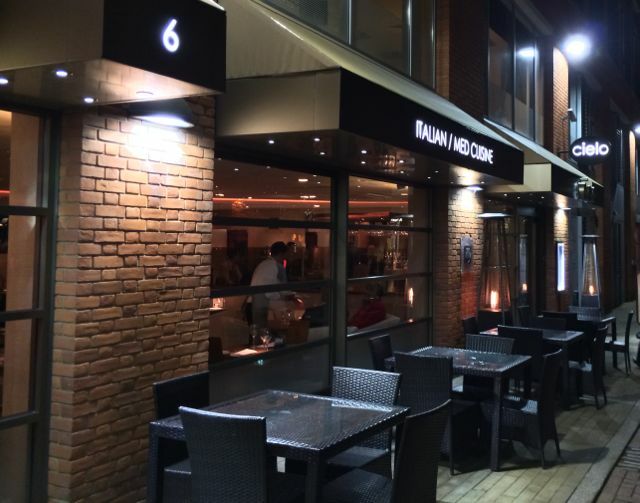 This entry was posted in Area: Brindley Place, Cuisine: Italian, Price: Get your dad to pay - above average, Venue type: Restaurant and tagged Birmingham Restaurant, birmingham restaurant review, birmingham review, eating out in birmingham, Out In Birmingham, out in brum, OutInBrum, restaurant review, where to eat in birmingham, Where To Go In Birmingham, where to go out in birmingham. Bookmark the permalink.